On Monday, October 13, at the auditorium of the Santa Lucia complex, took place the awards ceremony for the winner projects of UnifeCup 2013, a Business Plan Competition aimed at promoting the creation of new business high-tech start-ups. 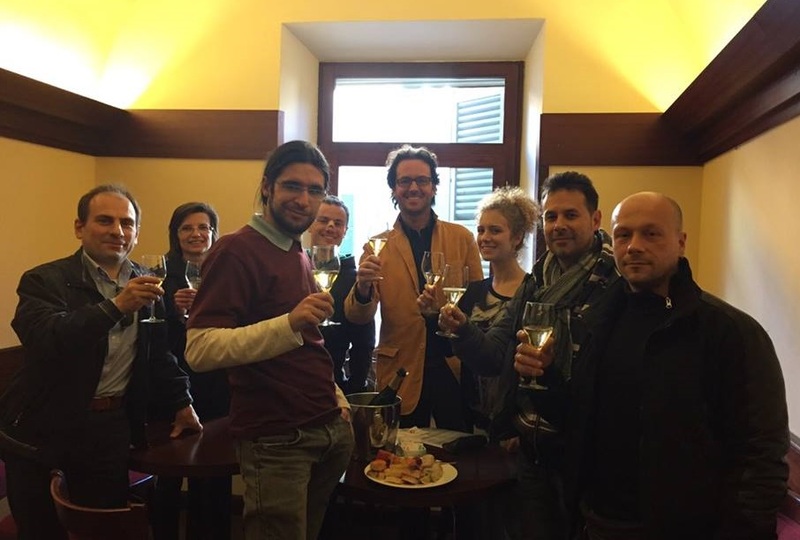 With UnifeCup 2013 the University of Ferrara wanted to encourage young researchers to enhance their results, with the opportunity of realizing their ideas creating the right conditions to start their own business. 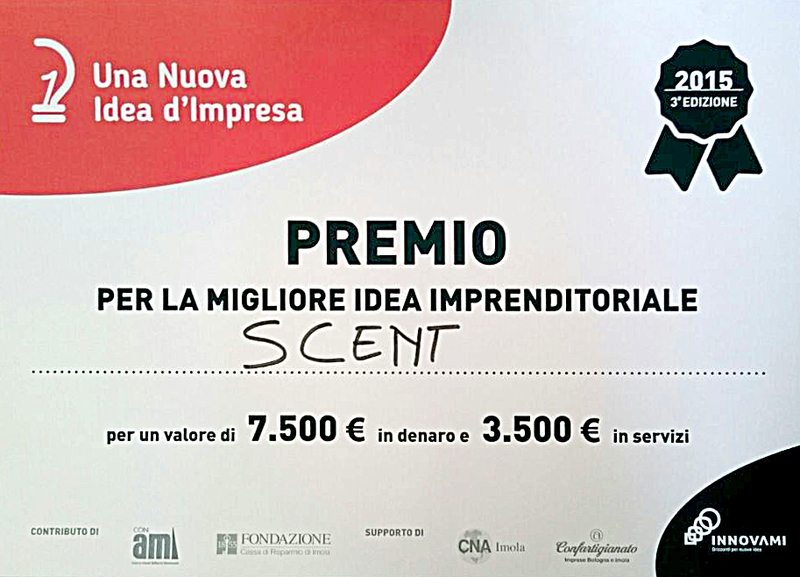 The winner is the project SCENT, coordinated by Cesare Malagù, researcher at the Physics and Earth Sciences Department of UNIFE, with the team composed by Giulia Zonta, Sandro Gherardi, Alessio Giberti, Andrea Gaiardo, Nicolò Landini. They have realized a portable device (SCENT A1) for a non-invasive and preliminary screening of colorectal cancer. The goal of this award is to allow the new Italian start-ups to learn more about the opportunities across the Alps, in order to develop their own activity, encouraging the creation of technology partnerships with French companies. 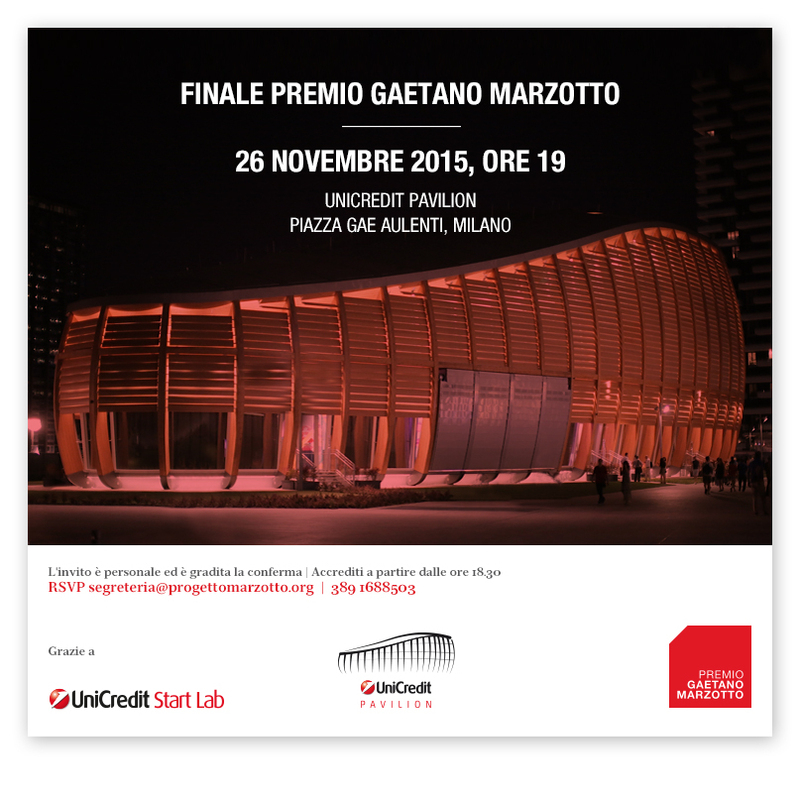 The award consists of a stay in France in order to meet the actors of innovation and/or potential partners. 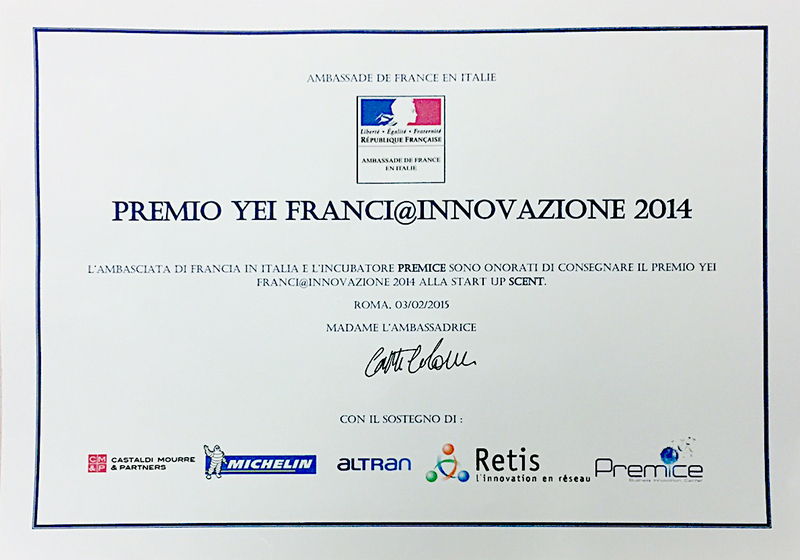 This initiative of the French Embassy in Italy joins the Italian award "Start up of the Year", organized by PNICube - Association of Incubators and Italian Academic Business Plan Competitions. Il Sole 24 Ore: "Premio Marzotto, vince l’idea di Scent"
la Repubblica Bologna: "Quel test che annusa i tumori nato all’Università di Ferrara"
Corriere Innovazione: "Test antitumorali: vanno a Scent i 300mila euro del Premio Marzotto"
La Stampa: "I sensori hi-tech conquistano il Premio Marzotto"
iPress Live: "Videointervista all’Amministraore Unico"
La Nuova Ferrara: "Trecentomila euro a Scent la start-up di Unife"